Great Report its totally free. Statement of Work (SOW) that can be used in different instances (although you're going to use a single one in most instances - the guide will show you which one). 13 tied and tested tips to write a great SOW copy. 19 points you shouldn't neglect when the contract has closed. 18 items that should be measured before nodding your head in each contract. 5 important questions that should be put on the desk, before you accept the terms and conditions of the contract. This guide is quite easy to consume as it is written in layman terms with affection and real-industry examples. 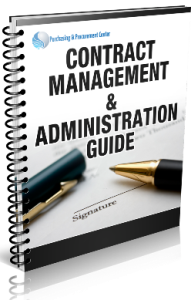 It will come off as a blessing in disguise in your daily business deals; takes 30 minutes to learn the tricks of the trade and rock at contract negotiations. Offered for free for a limited time (normal price $47). Fill in your details on the right to get your copy.